Josh Trent is the founder of Wellness Force, a wellness industry influencer, and consultant specializing in health technology. As a top-ranked iTunes podcast host of both Wellness Force Radio and the Fitness + Technology podcast, and with over 13 years in the health and wellness industry, Josh leads the Wellness Force community in discovering the physical and emotional intelligence men and women need to live life well. 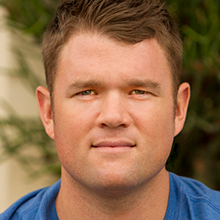 His work has been featured in major health and wellness publications such as WellnessFX, NASM, ACE, and many more. As the host of Wellness Force Radio, Josh interviews world-class experts in the fields of physical and emotional intelligence, mindset, behavior change, supplementation, nutrition, health, wellness, fitness, and human technology that empower the audience with actionable steps for the wellness journey. Awarded “Top 100 #HealthTech Influencers 2017” by Onalytica, Josh has facilitated over 250 high-level interviews in his podcasting career with some of the most respected minds in the health, fitness, and wellness industries. As the host of the Fitness Industry Technology Council’s “Fitness + Technology Podcast,” Josh spotlights the work of global fitness and wellness brands, and how their contributions through new technologies are positively influencing the industry. His vision with the Wellness Force team is to empower over one million men and women to discover the physical and emotional intelligence they need to live life well.